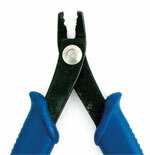 Crimping pliers are for just what their name implies, crimping! The back slot puts a seam in the middle of the crimp tube, separating the ends of the flex wire and trapping it firmly. The front slot rounds out the tube and turns it into a small, tidy bead. Chain-nose pliers are the most useful tool in your entire toolbox. For holding, opening and closing jump rings and bending sharp angles. 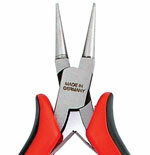 Round-nose pliers are intended for turning round loops. They do not work well for holding or grasping since they tend to leave a small dent. 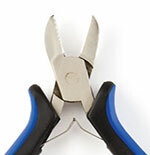 Flat-nose pliers are a wire power tool. 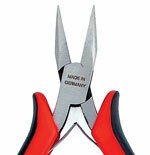 They are excellent for turning sharp corners, holding items and for opening and closing jump rings. Wire flush cutters leave one flat side and one pointed side on each cut. 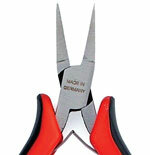 Using flush cutters is especially important when working with heavy gauges of wire (20-gauge or smaller). One side of the cutter is flat and the other is indented. 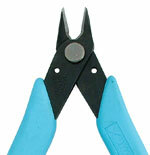 Nylon-jaw pliers can be used to harden or straighten wire. Side-Cutting Pliers The angled jaws of the side-cutting pliers give a close cut. 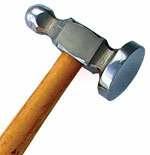 Jeweler’s hammers have fine, smooth curved heads to leave a clean impression. The round peen side works well for texturing wire and metal sheet. 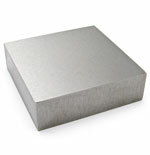 A bench block is a flat, smooth piece of hardened steel. Hammering on top of a block flattens out and hardens the wire. Bench blocks are also used for stamping metal to get a clean impression.